I was driving down the street the other day and saw a sign on the back of a car. It said #Jesus because adulting is hard. I will admit I took a picture. In my defense we were stopped at a long light. But these really resonated with me. Adulting is hard. I know we think when we are young that we want to grow up and be adults but then we get there and want to go back to the days of our carefree childhood. 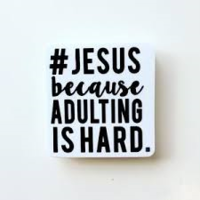 I don't know how people adult without Jesus. He is my compass. He keeps on the right track when I want to get off track. There is that old saying of "WWJD," What Would Jesus Do? I know what Jesus would do. He is on the side of the oppressed, the poor, the homeless, LGBTQI. He's even on my side. He's on your side. 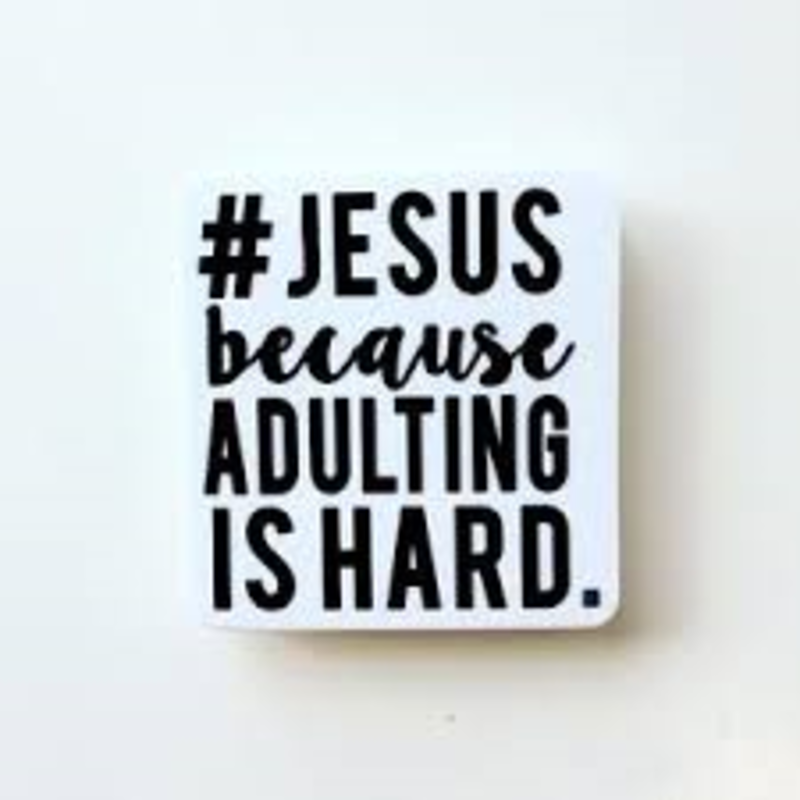 Adulting is hard but we've got Jesus, there's nothing better than that.